I have one problem with a lot of the christmas designs you find around the place. They are all about snow and cold stuff, like snowmen. Unfortunately I have never seen a white christmas as living where we do I would scared to see a white christmas as it's in the middle of summer! So none of the designs are really relevant. So today I started to fiddle and design a kangaroo. 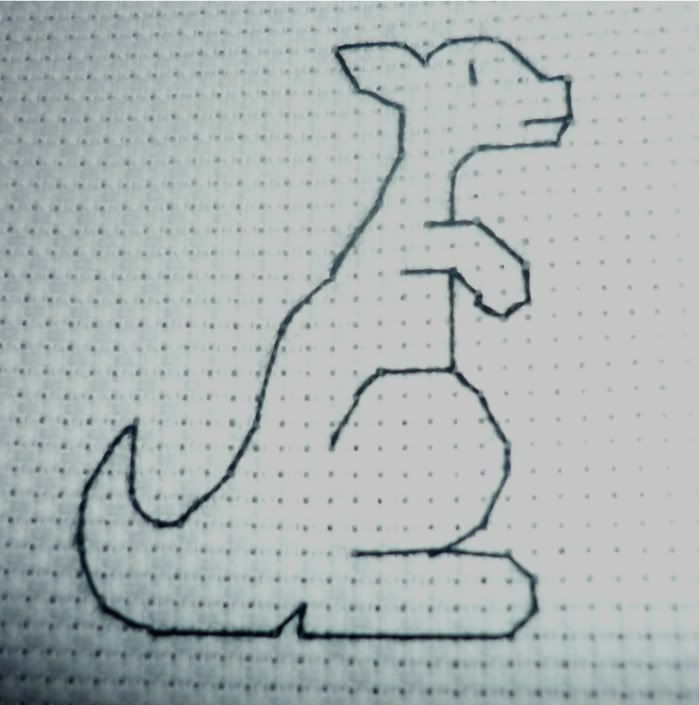 Here is the backstitch outline. I really want your opinions, he's only small so he can go on cards etc. I haven't actually added any christmas stuff yet. Just trying to work out the kangaroo. When I'm done I'll draw up the pattern and upload it here for everyone to use if they want.